Weingut Geyerhof lies in the idylic Krems Valley of Lower Austria. In 1986, Ilse Maier took over Geyerhof which has been in her family since the sixteenth century. In 1988 she and her husband Josef converted the then 15 hectares, now there are 19, to organic viticulture. The single vineyards of Geyerhof grow on a wide spectrum of soils. Prehistoric stone, sandy soils and gravel provide perfect growing conditions for the various varietals. Considering that Ilse has written a book on organic farming, Geyerhof is no ‘Johnny come lately’ to eco friendly farming! Ilse talks about her vines becoming stronger and stronger with each successive vintage due to these methods. 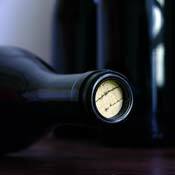 All Geyerhof wines are single vineyard organic expressions of dry farmed, hand harvested fruit. In the winery grapes are processed slowly by spontaneous fermentation in a facility both modern and ancient. Lees contact, neutral barrel aging and malolactic fermentation are carefully utilized to add complexity to the wines without adding any additional ingredients.